Early in astrological studies, we may come upon an explanation of the planetary energies based on the alchemical symbols included within the symbols, or glyphs, of each individual planet. Such an explanation of the planetary energies was given in Marc Edmund Jones's "Astrology", Alan Oken's classic "Astrology: The Horoscope, the Road, and its Travelers", Michael Meyer's "Handbook for the Humanistic Astrologer", Ruth Brummund's "Brummund Technique Book", and Sri Aurobindo's commentaries on astrology. The ancient science of astrology was intertwined with alchemy, one of the precursors to the modern empirical sciences of astronomy and chemistry. Whether or not the symbols we now use for the planets were consciously designed as combinations of the alchemical symbols, or whether their correlation with alchemical symbols is purely coincidental or synchronistic, there does seem to be relevance. What is noteworthy about the symbols is their ancient, multicultural, international usage. These symbols traverse various cultures and time segments of human history. Before proceeding further, I would also like to stress the substantial inspiration received for this article from the writings of Ruth Brummund on the psychological significance of the planets as presented in her Uranian Mandala, and her writings on the mythology of the Transneptunians; the depth of insight delivered in the writings of Martha Lang-Wescott; the early summarizations of Transneptunian energies by Roger Jacobson; and the insight into outer planetary energies by such gifted astrologers as Stephen Arroyo, Donna Cunningham, Marilyn Warram, Lois Rodden, and Robert Hand. To begin with, let us look at the basic symbols that make up the components of the planetary glyphs and what their significance is. circle: spirit; or the vital creative energies of life. cross: matter; pragmatism; practical application. arrow: indicates direction of energy toward a specific aim. As we begin with the Sun, the star at the center of own concentric planetary system, we will combine the symbols and consider how they correlate with the energies ascribed to them. Each planet will also be presented on text background corresponding with the color of light reflected by that planet, as seen from the Earth (according to Alfred Witte and subsequent Uranian astrologers). The choice of colors is not just an arbitrary rainbow schema. Our Sun star is in many ways the source of life, a primary source of energy in our planetary system. The circle of spirit and vitality contains a point in the center symbolizing the Sun's position in relation to the rest of our planets. The Sun lends us, as individuals, life energy. If we are insecure or complacent, this may manifest impotently as arrogance, naive self-absorption, or self-dramatization. However, if we effectively integrate all components covered by the Sun, we move toward self-mastery, which combines consideration for others, as well as of higher powers, with courage. Our Sun directs us toward our central life purpose through integration of all levels of consciousness and introspective reflection and consideration for others before we effectively assert ourselves outward in a balanced manner and attain self-confidence and true courage. The Earth's Moon would logically be an extension of the Earth as its satellite, and thus attunes us to impressions in the here and now, often referenced to the personal past and sometimes in the collective past, where it sometimes tempts us to remain. Our Moon also reflects, in various modifications, the light of our Sun to us, and because of our Moon's proximity to us, it appears as a relatively bright object in the night sky, lighting up our surroundings in the apparent absence of our Sun. The crescent lines are doubled, indicating the high level of receptivity, perceptiveness, and sensitivity. While, physically, our Moon orbits the Earth, between Venus and Mars, it often follows directly after the Sun in astrological schemas since it is the conveyor of sunlight to our planet in the evening hours, and nurtures us with gently reflected sunrays gathered and sent to us while we rest and restore energies for the next day's activities. The crescent above symbolizes receptivity to perceptions from the superconscious, linked through whole-spirited involvement at the conscious level, and grounded in the material realities as perceived through the collective unconscious. Mercury is gives us the elementary functions of the intellect, and allows us the means to communicate our ideas with one another, bridging the superconscious, the conscious, and the unconscious as we interrelate with one another. If the crescent, receptive upward to the superconscious, is overaccentuated, we can be too idealistic. If the circle is overstressed, we can be intellectually arrogant. An overemphasized cross may indicate calculating or manipulative communications motivated by primal crass materialism, driven from the subconscious. Awareness of universal laws of cause and effect, and how we are all stewards of energies larger than ourselves, maximizes Mercury to function as precise and accurate communication and conveyance of ideas. Compared to Mercury, Venus is more distant from our Sun, and closer to Earth. Venus attempts to encircle ideals from the collective superconscious together with current, conscious realities, and ground them in the material and the collective subconscious feelings and urges. Thus it is often concerned with finding material and collective comfort, and harmonizing earthly realities by means of shared ideals and values. The resemblance of the glyph to a hand-held mirror is interesting, as Venus determines how we, as individuals, reflect ourselves in others and others in ourselves, and ponder our similarities and common interests through our common values. Venus is sometimes considered to be a twin of the Earth in terms of its similar density, diameter, and chemical composition; thus it can also manifest as our symbolic complement or partner. It is perhaps significant that on version of the Earth glyph is composed of the cross over the circle, a sort of Venus in reverse. The glyph of Venus stresses the importance of balancing the spirit and the material if we are to find contentment. The cross of matter contained within the circle of spirit is the a frequently usedsymbol for Earth. The glyph also has an interesting resemblance to the lens of a telescope, via which we view the rest of the universe from our Earthly abode. Thus, Earth, as our planet, is our real reference point in looking out upon the other planets. Another glyph for Earth, the upside-down Venus, implies matter over spirit. The fully rounded one we see more often indicates matter within spirit and spirit within matter, a description of the essence of our terrestrial lives. The circle of spirit here is directed toward specific aims, symbolized by the arrow. This is the first planet of individual directed willpower, often focused on the basic tasks of daily survival and the primal urges involved in perpetuating human life. The arrow also symbolizes dynamic activity. With the arrow overaccentuated, we can be impulsive or dissipate energy in semi-conscious displays of unbridled passion or anger. With the circle overaccentuated, we can appear egotistical and full of ourselves. With the symbols in balance, we have the confidence and self-discipline to achieve our objectives effectively, by sending our vitality outward into the world to get what we want in an effective and unabrasive way that does not trigger conflict of interest. A crescent, receptive to left-brain perceptions, is attached to the cross of matter, which also symbolizes objective material realities. Jupiter gives us the ability to perceive the potential of material circumstances, and often leads us to physical or mental exploration in order to broaden our experience and accumulate greater sustenance to maintain life on the material plane. If the crescent outweighs the cross, we run can become enthralled by adventure for its own sake, lose sight of the purpose of our ventures, and become impractical or restless. If the cross outweighs the crescent, we can become too shallow and materialistic, misunderstanding the larger social impact of our acquisitions and accumulations. In balance, we harness our explorations to practical use and still do not allow pragmatism to overshadow consideration for others. Here, the cross of matter overrides and masters the perceptions of the collective unconscious. The subsequent understanding of our heritage and past experiences yields maturity and an understanding of cause and effect. If the cross outweighs the crescent, we run the risk of becoming too materialistic, cold and insensitive to the needs of others in the collective. If the downward crescent outweighs the cross, we become stuck in the past, fearful of the future, ignorant of ideals, or dependent on the collective. In balance, we become highly pragmatic and cognizant, based on our understanding of the past and laws of cause and effect, of the practical issues of functioning in society with and responsibility and patience. The cross of matter is open to both left-brain and right-brain perceptions and is rooted in the spirit of the collective unconscious. This complex glyph indicates rapid, multidimensional intuitive perceptions that we experience as "flashes" and provide us with new insights outside conventional perceptions. It is not unlike the radio or television antenna that brings in signals from afar that stimulate us with new ideas. Another Uranus glyph, the arrow atop a solar circle, illustrates another perspective on Uranus... that it is spirit and vitality directed enthusiastically upward toward ideals, in a spontaneous manner. Note that, with a small arrow atop the H-shaped glyph, we can see the more circular glyph contained within it. Also note the similarity with Mars, but with Uranus the energies are directed straight upward toward superconscious ideals, combined with Poseidon turned sideways, focusing on conscious perceptions in the present and correlating them with superconscious ideals. Without grounding, the electricity of Uranus can trigger destructive or explosive energies. However, grounded in practical considerations and experience, Uranus opens up practical new inventions and innovations that bring new life to outworn structures and concepts and points our energies toward the future. The upward crescent for the first time since Mercury turns our attention toward the superconscious and works to link it with material realities. With Neptune, we attempt to bring the idealism of the superconscious myths and heroes into manifestation, and we often succeed once we temper our speculations in sober assessment of physical conditions. When the crescent outweighs the cross, we become lost in impractical idealism, and fail to see what is realistically possible, given current circumstances. If the cross outweighs the crescent, we attempt to deny our disappointments in manifesting ideals, and escape into daydreaming or even the debilitating fantasies of drugs and alcohol. When in balance, Neptune does indeed give one the ability to make dreams come true. This, however, requires patience, unswerving commitment, and willingness to make sacrifices. Impressions and inspiration are put into action to create artistic forms or inventions (particularly when Neptune is assisted by other planetary energies). Another glyph used in Europe shows the circle in place of the cross, emphasizing the more dynamic aspect of Neptune and its association with the process of visualization and active imagery and creation. Still other representations of the Neptune glyph show a small arrow atop the central vertical bar, or all three upward lines, emphasizing the direction of energy toward ideals. Somewhat like the Neptune glyph, but with a circle of spirit within the upward crescent, Pluto indicates a receptivity to other worlds. Recent astronomical discoveries imply that Pluto might be a visiting centaur-like object that has been brought temporarily into orbit around our Sun, and it builds a bridge to other solar systems and realities. It gives us the power to transform into new ways of life. If the cross outweighs the crescent, we risk losing sight of the purpose of the transformative energies and become obsessed with power for its own sake, or to bolster our egos. If the upward crescent and circle outweigh the cross, we run the risk of detachment from reality or even psychotic episodes. Pluto also introduces us to the outer gaseous Transneptunians, which were long considered to be "unreal", and in a way symbolize a new level of reality. The older Pluto glyph contains the first two letters of Pluto and, coincidentally, the initials of astronomer Percival Lowell, in this way credited for its discovery. The 3rd Pluto, glyph used widely in northern Europe, a doubled upward crescent directed toward the circle of spirit, emphasizes more strongly the receptiveness toward vital stellar energies filtered through the superconscious and through the perceptiveness of Pluto; this symbol also happens to resemble the crown on the head of Isis. A 4th symbol for Pluto starts with primal subconcious vitality crowned by the cross of matter on the conscious level with two crescents above, pointed downward. This glyph implies a taming of vital primal energies through conscious practical efforts and understanding, with receptiveness from the superconscious; the twin crescents perhaps indicate the need for a balance of left-brain rational and right-brain intuitive perceptions, integrated, in order to maximize the potential of this planetary energy. What is remarkable about the variations in the Pluto glyphs is that they correlate with the varying perspectives on Pluto that are shown in the literature that is available to us through the various cultural filters and languages. Noting that the Cupido symbol resembles a combination of Jupiter and Venus, we see how the leftward crescent of conscious perceptiveness and drive for material expansion is combined with the spirit-focused drive for wholeness through complementation. In fact, Cupido seems to actively seek out, through expansion, the means to find harmony, wholeness, and comfort. It uses reason to uncover the means to implement fairness, equity, and aesthetics. If the circle outweighs the cross and crescent, excessive idealism can result. If the cross outweighs the crescent and circle, there can be inertia and codependency. If the crescent outweighs the cross and circle, excessive or shallow socializing, or a preoccupation with form over content undermines a true sense of community. In balance, Cupido promotes broad-ranging social harmony and aesthetics with broad appeal. Here, the crescent is interlaced with the cross of matter. The underlying principle seems to be that of searching for the inner or underlying essence of material realities. With Hades, we begin to deal with the fact of the impermanence of the material, and the reality that we must actively maintain it or experience its demise into a non-physical state. Thus Hades often relates to medicine, remedial procedures, and unpleasant maintenance details that we may mistakenly overlook or leave to someone else. This implies an understanding of the chemistry of matter; and in a personal and social sense the ability or inability to empathize with others despite material differences. It points to the metaphysical realities that underlie physical existence and refers to the subtle materia that we understand through investigating quantum physics. Hades seems to relate to the practical issues of putting spiritual concepts into practice in daily life, and I sometimes refer to it as the planet of "applied metaphysics". Noting that the crescent is nearly closed into a full circle, and that the cross is based in the collective subconscious, Hades seeks to define experiences through conscious perceptions where matter is interlaced with spirit, and based in the history of the collective. If we have not learned its lessons, which are frequently alien to our more materialistic cultural paradigms and beliefs, Hades may teach us the hard way. The cross of matter is tilted at an angle and directed toward specific aims via the upward arrow. Thus Zeus is focused and directed pragmatism. It is capable of disciplining energies and directing these toward a specific goal. If the cross outweighs the arrow, one can be caught up in materialistic gratification, and cut or wound others while neglecting, or in ignorance of, higher transpersonal realities. If the arrow outweighs the cross, enthusiasm for goals ungrounded in practical considerations can lead to dissipation of energies or conflict with others due to ignorance of the material impact of objectives. In balance, one expresses enthusiasm through disciplined efforts to attain goals. This can also manifest as resourcefulness, improvisation, and creativity. "Standing above" or "rising above" material realities is key here. The crescent faces downward, yet is located above, in the superconscious, hovering over the cross of matter. This symbolizes subjecting physical realities and assets to higher ideals based in the superconscious. In contrast with Neptune, Kronos has grasped full understanding of the ideals, and is now systematically bringing material reality up to meet them. If the crescent outweighs the cross, there is arrogance and a detachment from daily reality, where one assumes oneself, as an extension of one's ideals, to be somehow superhuman, in an ivory tower. If the cross outweighs the crescent, one clings to the status of accomplishments, rests on laurels, loses sight of the transpersonal purpose of one's talents, or makes the mistake in believing that the gifts and talents one has serve only to build up one's ego and fatten one's pride rather than serve humanity. In balance, the practical implementation of one's ideals serves a higher transpersonal purpose, lifting up others as one aspires to to enact unifying universal laws of justice, responsibility, and respect for all beings as part of an interdependent cosmos. "Comprehensive" is a keyword for Apollon. Its multisensory receptors are illustrated by the three crescents, one upward toward the superconscious, one downward toward the subconscious, and one hinging on the central horizontal line indicating perception of conscious subjective realities -- and the glyph indicates a synthesis of all 3 of these sets of percepetions. In balance, Apollon gives us the understanding of the past, the future, and how they relate to perceptions in the present. This is the planet of exchange, experience, and scholarship. Note that multiplex input has to remain organized and priorities have to be established so that perceptions are not scattered or distracting. All the crescents are linked via the cross of matter that is bolstered by a second vertical line reaching from the subconscious to the superconscious; thus Apollon makes extra effort to integrate human history and the idealism of the future into daily perceptions of conscious reality. Imbalances can bias one toward the past, the future, or the present. Notice that the second vertical line linking the upward and downward crescents also shows us the first hints of the energies of Poseidon. Noteworthy, as well, is the bright color of Apollon, which implies that it is composed of material that very effectively reflects and redistributes the vital energies of our Sun despite its remoteness; and that Apollo was known in certain mythologies as the Sun god. It makes us wonder if perhaps Apollon was not at one time a star itself, later pulled into orbit around our star, called the Sun. Apollon is almost like a "lucky star" that seems to bring plenty to whatever it contacts. Whether we organize Apollon's abundant perceptions into a system, or leave them scattered and fragmented, depends on our personal wisdom and ability to truly see the overall picture and frame of reference. Differing from Mercury, Admetos's cross is interlaced with the circle of spirit, yet still based in the collective unconscious. Seen another way, this symbol includes the Earth, but also reaches upward to the ideals of the future, while grounding itself in the collective past. Admetos thus leads us to the core of reality, and sometimes to the conscious realization that what appears to be static is in fact in continual underlying motion and change, just as even the most dense of materials is composed of molecules, waves, or bosons in perpetual motion... that dense material objects are simply high-density concentrations of molecules or particles that also float about much more freely, and with less congestion in water or air. The hardest of minerals is composed of tiny particles that are somehow held together to give the appearance of duration... yet they also eventually dissolve or transmute. In reference to the upward crescent, Admetos seems to slow us down to almost meditative states to challenge us to return to preconceptions of the past, integrate perceptions from the superconscious, build upon more objective basic principles, and harness our physical realities to the higher ideals for the collective future. The triangle or triad of order and integration is directed upward by the arrow. The triangle is also like a funnel which channels powerful primal collective energies from below, through the individual, toward higher objectives. Vulkanus thus represents one-pointed energies which are amassed and directed toward certain aims, ideally of benefit to society. The triangle indicates an innate potential for balance. If the balance is disturbed, the powerful energies can be disrupted and almost lightning-like or warlike coups may occur in order to restore order and bring all energies into alignment. If the arrow outweighs, the enthusiasm is not backed with stability, in which case the power of Vulkanus can be destructive. If the triangle outweighs, overconcern with maintaining stability can incline us to a reactionary mentality, and undermine progress. In balance, the primal energies from the collective subconscious are effectively directed toward higher ideals that serve humanity, where rapid and true evolutionary progress can be made. An upward crescent and downward crescent are united via a vertical bar, and the true spirit of realities is perceived, above and beyond material manifestations. If the upward crescent outweighs, there are unrealizable ideals. If the downward crescent outweighs, the collective subconscious overshadows accurate perception of ideals, and we find dogmatism or obfuscating propaganda appealing to the lower instincts. When in balance, this planet brings us to core truths grounded in a balance of physical, personal, and collective realities, past, present, and future, and gives us a keen sense of time and timing, cause and effect, and the connections between abstract essence, ideals, and what we are able to manifest consciously on the material plane. It can potentially lead us to a high degree of objectivity, as long a our sensory perceptors remain open and do not shut down due to assumptions of "knowing it all already". Poseidon gives us the potential to link our lower primal instincts to higher transpersonal objectives. Poseidon is a major source of universal wisdom and truth. It is the most distant of the Hamburg School Transeptunians, linking us to the larger reality including the outer cosmos and its pertinence to our daily lives as "children of the universe". 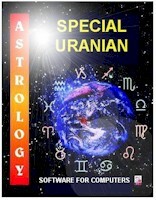 The only program designed for current Uranian Astrology techniques by Ruth Brummund and Blake Finley, in collaboration with Aureas Software in Paris, which includes the new comprehensive and more positive midpoint interpretations of the annotated Brummund Rulebook is the Special Uranian Program, bringing midpoint astrology into the 21st Century. Superconscious: perceptions filtering through personal or collective ideals which direct us toward higher, transpersonal, aspirations in the future. Conscious: perceptions filtered through day-to-day reality. Subconscious: those perceptions, sometimes primal, filtering through our own past experiences or, more deeply, through our collective cultural heritage. It is important to note that the terms introversion and extroversion or extraversion are often used in a popular, behavioral sense that is slightly removed from their original meaning in the Jungian sense, which more closely correlates with how they are employed in the Uranian Mandala, i.e. to the internal psychological processes more than their outward manifestations. * In popular language, introversion is often equated with social withdrawal, and extroversion with active social engagement. However, the terms were originally used, as they are here, to refer to the inner mental processes (perhaps, but not always, incongruent with external behavior). These mental processes are in turn referenced to reality outside the individual (in extroversion) or to internalized experiences (in introversion). Jung described introversion as subject-oriented and extroversion as object-oriented. These do correlate to some degree with the popular surface behavioral definitions, but not totally. Introversion actually indicates inward reflection on experiences; how one mulls over experiences and observations via feeling, reasoning, philosophizing, or basic reflection on past experiences of self or one's family or culture. These introspective experiences may also in some cases be applied to future-oriented objectives; for example, Mercury and Jupiter represent processing of information and experiences. This requires reflection and mental processing, often referenced to collective paradigms and ideals from the superconscious. Note that with Mercury and Jupiter, substantial internal reflection has usually taken place before communication or action is expressed. By contrast, Extroversion is actually the more spontaneous, direct interaction with external reality that tends not to involve mental reflection or reference to past personal experiences; immediate reality is perceived as it stands and then is acted upon, in the here and now. As examples, Mars and Uranus meet with reality and act rather spontaneously, without extended internal mental processing or conscious reflection on past experiences. The actions of Mars are often driven by inner primal, survival instincts from the subconscious, while those of Uranus are driven by intuitive flashes of ideals and future objectives referenced to ideals in the superconscious. Note that the extroverted sectors are occupied primarily by fiery planets. This model differs from previous astrological models which sometimes considered Mercury and/or Jupiter as extroverted because, externally, they often indicate or entail interaction through communication. While the horizontal consciousness levels indicate points of reference in thinking and feeling, the vertical (intro/synthesis/extro) categories indicate how the thoughts and feelings are processed and then expressed. More on this in other articles. * Terms and concepts from other schools of psychology have also sometimes been altered and redefined by behaviorists in order to fit into their lopsided, empirical paradigms. For example, Piaget's stages of childhood development have sometimes been described by behaviorists only in terms of exhibited behavior without making reference to the critical internal psychological processes which are demonstrated by the external behavioral manifestations.